House of Troy Piano Lamps - AP10-21-71. Many different styles to choose from - Factory Direct FREE Shipping. 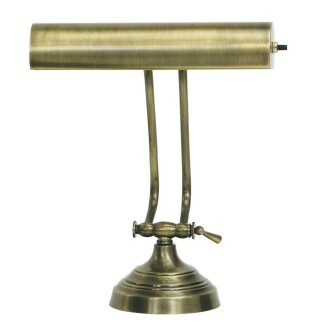 Beautiful House of Troy piano lamp has a round base and comes in a Antique Brass Finish.